REMOTE SURVEILLANCE as a HOSTED SERVICE! Just login to our secure Web Portal, from any PC, tablet or smartphone. Know what is going on when you are NOT there! The 2 NEW hosted services are: the NOVEX spyCAM and the NOVEX spyCELL. spyCAM uses your cameras, webcams, IP cams and microphones to detect and record movement or sound. Captured media is compressed to flash video or mp4 and streamed securely over the web and local network. spyCAM can run on multiple computers simultaneously and has full Email, SMS and Twitter alerting functions, as well as remote viewing. NOVEX spyCELL is a powerful mobile smartphone application. It gives you the ability to monitor and record all data, activity, calls, messages and locations of a GSM phone (Android, iPHONE, Blackberry etc...) . Just by logging-on to our secure spyServer, anytime from anywhere. You can track, trace, listen to and have full control over the target smartphone. Start tracking cell phone activities instantly. Get access to calls, all incoming and outgoing messages from different text apps, Record calls, track Location in real time and more! All of that is done absolutely remotely and undetectably! Access the info from the NOVEX Web Portal. WE DO OFFER FREE TRIALS for BOTH SERVICES and APPLICATIONS. TRY BEFORE YOU BUY - 100% FREE with no commitment whatsoever. Home Security Keeping an eye on your home whilst away is simple. Just hook up some webcams (even IP cameras) and leave spyCAM running. You can check in at any time through this website to monitor and control the cameras in your house and you can relax in the knowledge that should anyone break in you'll instantly be alerted with framegrabs of the intruders sent to your mobile and recorded video uploaded to youtube (with private access only). Office Surveillance An unattended office is vulnerable to theft. Just as spyCAM can keep an eye on your home, it can do the same for your workplace. Offices also have the added benefit of there already being lots of spyCAM capable computers sitting around doing nothing! Work Monitoring Suspect that your employees are skylarking on the internet when they should be working? Install spyCAM server on their computers and setup a video feed of their desktop - you can password protect it and leave it running in the background. Hey presto - you can now sign in from anywhere in the world and watch a live feed of exactly what they're working on! Automation As you can control spyCAM through batch files, the command line, over the web and with mobile devices, and spyCAM can call any program or run any batch file when it detects movement, it makes a perfect companion to your existing home automation systems. Detected an intruder? Instantly turn the lights on, play a sound of a dog barking and send yourself a framegrab directly to your mobile phone. Nanny Cams Do you have any suspicions about your nanny? You could setup spyCAM to monitor both a microphone and camera in your home and trigger recording of both the video and audio on loud noises - so if your children (or the nanny!) starts screaming you'll have it all on tape! Staff Monitoring So you leave work early on a Friday but want to make sure your employees stay till close of business? spyCAM to the rescue! spyCAM can detect and alert on lack of movement - so you can configure it to send you an SMS if, for example no movement is detected for 5 minutes. You then login over your 3G phone and watch a live feed of your office which you can then record as evidence for Monday morning...! Machinery Monitoring As spyCAM can detect a lack of movement it's perfect for monitoring machinery - if something in your factory stops working spyCAM can send you an alert instantly - minimizing downtime costs. Wildlife Watching Put a webcam in a bird house or near a burrow and capture the daily activity of your favourite animals! Theft Protection Say the worst happens and someone breaks into your house and steals your computer. spyCAM can start on system start (covertly with no messages given to the user). It can then start recording on a schedule or on motion detection and then automatically FTP, email or SMS you images of the people who have stolen your computer. Baby Monitoring Keep a constant eye on your baby anytime, anywhere. Sound alerts if they start crying (using the sound monitoring functions) and check in to see what's up with your mobile device without getting out of bed! Parental Control Solution The spyCELL works seamlessly providing you with the information you need to make sure your kids are not making bad choices and nothing threatens their life or health. Supervising and training of staff. Track at-work cell phone usage by staff without them thinking their privacy is invaded. The spyCELL app saves you time and money, helps verify employee loyalty. Track and trace LOST or STOLEN smartphone. Security Professionals who want to view sites from afar and record instantly or upon event. Concerned parents who want to monitor their children / parents and the care workers. Remote viewing of private and public events. 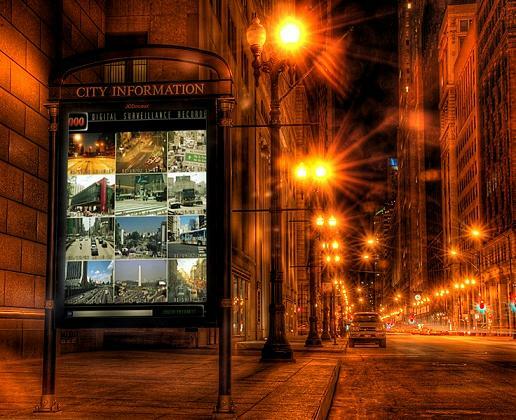 KEEP AN EYE ON YOUR FAVOURITE CITY and HELP MAKE THE STREETS SAFER! Instant, Real-time, Secure - you are in control! ( c ) 1997-2013. All Rights Reserved. NOVEX (CANADA) LTD. - The Digital Surveillance Company.